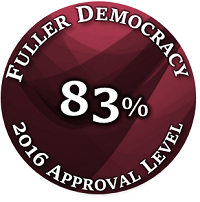 83% of Fingal residents voted to ban fracking in Ireland in Fuller Democracy 2016. I am happy to report that onshore fracking was officially banned via the Petroleum and Other Minerals Development (prohibition of Onshore Hydraulic Fracturing) Bill 2016, which was enacted on July 6th, 2017. I will oppose any measures to repeal this ban in future. 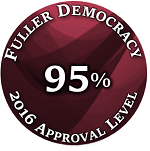 95% of people who participated in Fuller Democracy 2016 said that they would like election posters to be limited to specific display places, cutting down on wastage associated with election literature. I have been working with a number of Tidy Town Committees in the area in an attempt to implement these measures. I myself do not put up election posters, preferring to focus on digital democracy, person-to-person conversation and more detailed political literature. 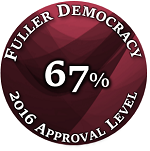 In Fuller Democracy 2016, 67% of people said they would support banning genetically-modified crops in Ireland. Feelings on this point were somewhat mixed. For the time being I oppose GMO crops, but I will likely revisit this point in more detail as and when the need arises. One of the biggest issues in Fingal is the lack of proper sewage facilities, which has led to Loughshinny and Rush beaches receiving poor ratings over the past several years. It’s quite sad that some of the most beautiful beaches in Fingal are de facto out of use. Wastewater pumping stations are currently in the process of being built in Rush and Skerries to alleviate this problem. That they are only being built now is obviously the result of extremely poor planning. As Fingal will continue to grow in the mid-term, I am committed to ensuring that such planning lapses do not re-occur by taking a proactive stance on infrastructure planning and development. In Fuller Democracy 2017, 85% of people said that it was important for Ireland to fulfil its obligations under the Paris Agreement (i.e. cutting emissions). One of the great things about Ireland is that, partly thanks to colonization we never fully industrialized, and we are thus having the last laugh now in our pristine and beautiful landscape. When it comes to the environment, we are already on a fairly good track, purely from having been spared much of the negative side of 19th and early 20th century industrialization. However, I think that there is even more potential here, for Ireland to become a leader in forms of renewable energy, such as wave energy. 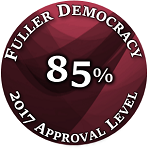 With 89% of people in favour, banning super-trawlers from Irish waters and promoting sustainable fisheries was one of the more popular proposals in Fuller Democracy 2017. Not only does this recognize the somewhat obvious point that we are an island, and that therefore management of marine resources should be an important priority for us, it is also, I think a recognition that turning fishing into a ‘big money’ industry can actually lead to a lot of wastage. One thing that I believe Irish politicians often overlook is that production isn’t just about quantity but also about quality. Sometimes, one can make as much money by establishing a high-quality brand with a restricted supply, than a low-quality product with a seemingly endless (but ultimately unsustainable) supply. We should be trying to manoeuvre ourselves into that position to the greatest extent possible with all our natural resources. Fishing is obviously a topic that has to be partly managed through the European Union at this point, but there are some movements afoot to support small-scale fisheries in Ireland already (see here).